I'm not sure if I ever shared the story of the Fayette headband, but it's relevant to some current events so I wanted to share it in-depth. This is going to be a long one folks. It should probably be broken into two parts, but whatevs. About four years ago, I saw a photo of Alexis Bidel. 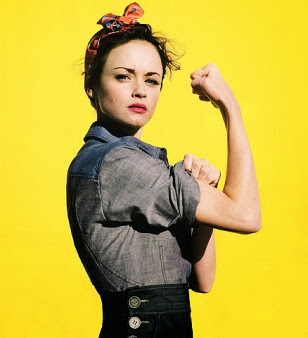 It can be found here, but if you don't want to click over and read the article it's a photo of her in a Rosie the Riveter outfit for an American Icons Glamour Magazine photoshoot. I loved the modernized Rosie the Riveter and how they tied a scarf into a headband that resembled a more feminine bandana that Rosie wore. I thought, "How fun would it be if I made a headband specifically to be tied like that? It wouldn't have to be rolled up like a bandana or a scarf. It wouldn't be bulky in case you wanted to wear your hair down. 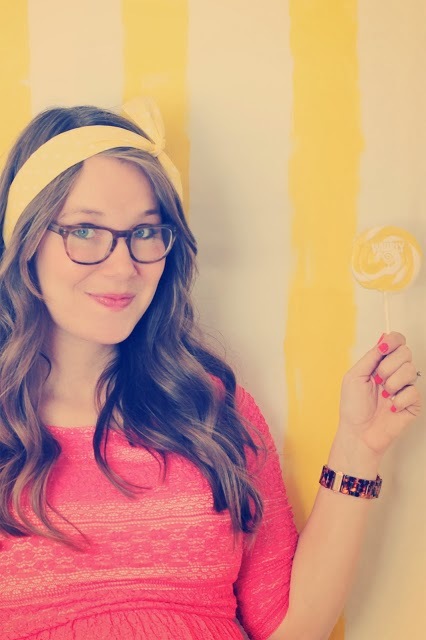 I could pick gorgeous fabrics and create a retro inspired line of headbands based off of it." 1. To follow through on things that the Lord places on my heart, creative endeavors or not. 2. That sometimes your first try isn't good enough and your customers deserve the best you have to offer. Life happened and I got distracted. I put it away and focused on my owl pillows (heh. remember those?) and a dress line. We moved overseas to teach English. We moved to Boulder to plant a church. A couple years later, I found it when unpacking a box of fabric when we moved into our new place in Boulder. I sat and played with it and at that point had shut the shop down for a while. I was tired of making things that everyone else made and loved my job as a Personal Shopper for Anthropologie. 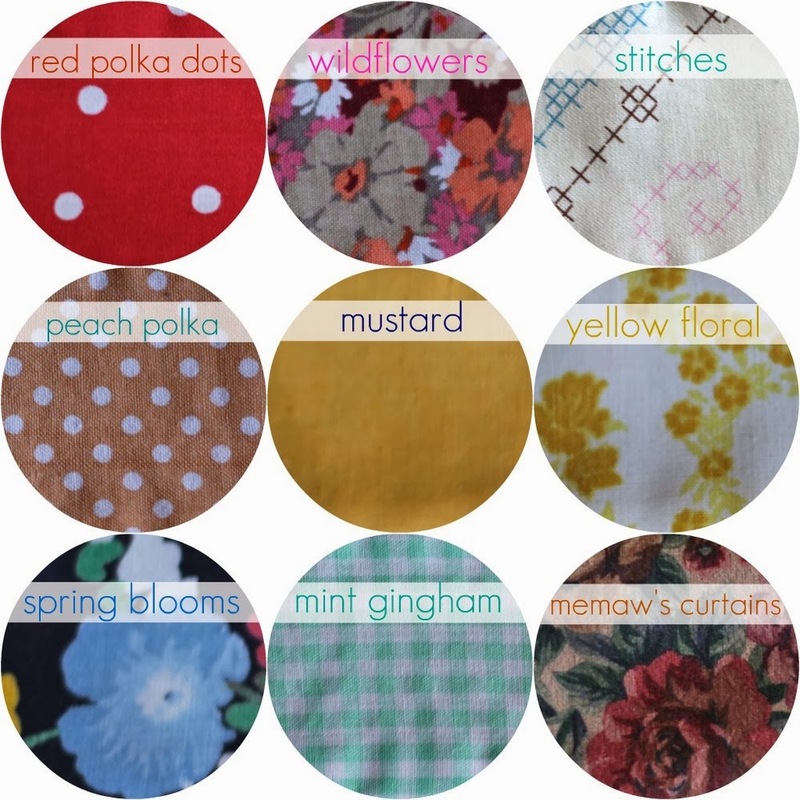 I had that creative itch again and so I started collecting fabric swatches and dreaming of/praying about opening up shop again. I spent a couple hours researching etsy and ebay and big cartel for people already selling this headband. I thought, it has to already be done by this point. Wrong. The only thing close was an ebay shop selling headbands that was an angled design made out of a bandana. The "bow part" was really long and the edges weren't finished, just raw. There was an etsy shop selling scarves styled like that, but they also sold a ton of vintage stuff and nothing in the shop told a story. 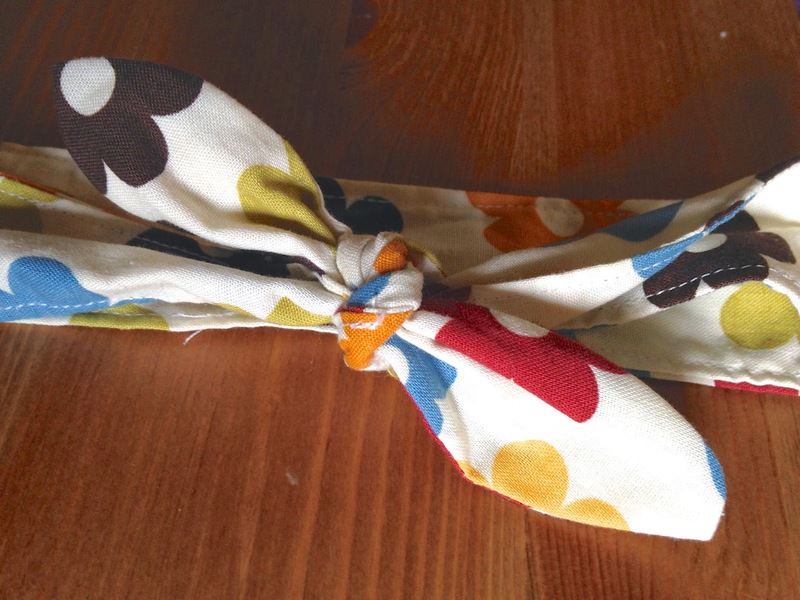 I must have created about 15 prototypes before I finally created, what I felt to be, the "perfect" knot headband. It curved inwards towards the end so that the knot wasn't too bulky. It was the right length for being adjustable and "one size fits most." It wasn't too wide. The little "ends" weren't too pointy or skinny or fluffy. I started scheming fabrics and searched high and low for the perfect vintage and/or vintage inspired fabrics. Polka dots, vintage florals, ginghams. They were perfect and exactly what I had envisioned. I sewed one of each and remember texting my mom who was with my Aunt. I texted them a photo and said I want them to be a retro/classic girl name. We shot names back and forth and landed on Fayette. My Memaw's first name (she goes by another name because she doesn't like Fayette, but I LOVE it). The Fayette headband was born, if you will. Then I started dreaming up a photoshoot. This is how I wanted to tell the story. Vintage inspired accessories with a modern twist. 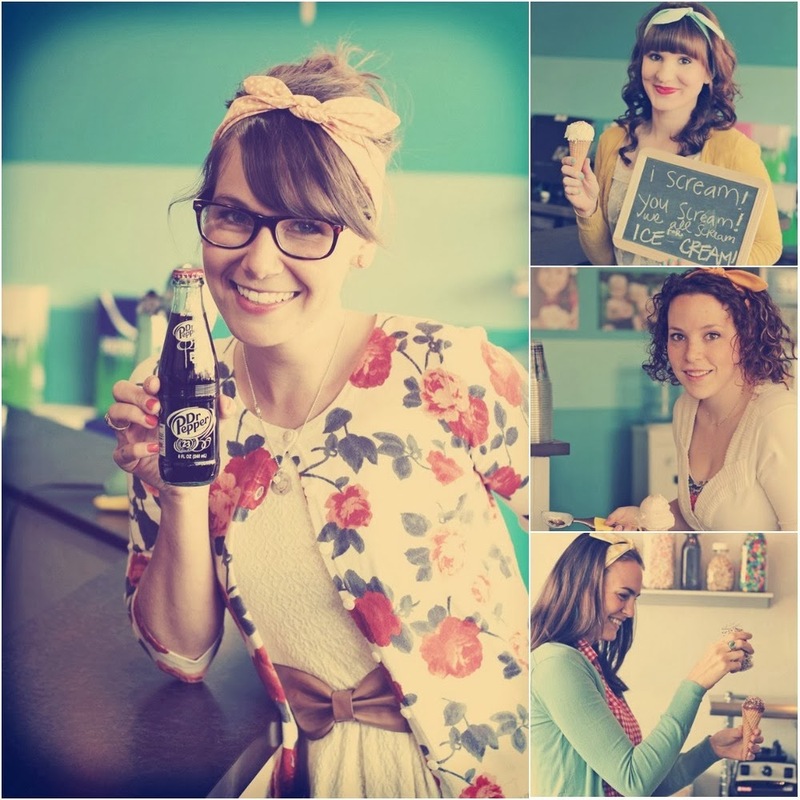 I immediately thought of an old school ice cream parlour. I collected props, put together outfits, and asked some friends to be models with me. I had already put so much into it. So much of my heart. So much of my creativity. So much of my time. Quite a bit of money (fabric, photo props, outfits, etc). So much of my effort. The photoshoot went off without a hitch. It was fun, and again, turned out just as I had envisioned. I was totally in my element and felt the Lord's hand in all of it. When I listed them in my shop, I was thrilled with the response. They had quite a bit of momentum for a while and then I did a holiday collection. Before I knew it, I was a bit in over my head and was pulling some crazy hours. When I started noticing knock-offs, I decided to make another design. This time, I wanted the ends to be rectangular so that when tied, it looked like a proper bow. I prayed about pursuing it since a couple months later, we'd have a little newborn in our hands. I felt a peace about it and got to work. I didn't see the design I had come up with anywhere (but again, not claiming I invented a bow headband haha! ), Colette rhymed with Fayette, so we went with it. Again, the Lord blessed me with creativity in a fun photoshoot, fabric choices that were perfect for my vision, and I got a great response. That's when I hired my first assistant. Then I started noticing more & more copycats and it irked me. I am super competitive and so I have to admit that in my flesh some of my motives are not always pure. God doesn't let me get away with it for long, ha! I am/was fully aware that I didn't invent a headband, or have rights to fabrics, or the retro-look (heck. I wasn't even alive in that era) - but I did expend so much effort in creating a unique design along with a cohesive line of headbands. Customers had started asking for soft versions as SOON as I first started selling Fayettes. They wanted them for their kiddos and I just didn't want to break into that market. I held off for a long time, but when I started seeing shops carrying Fayette or Colette knock-offs, again, I wanted to be ahead of the curve with a new design, but with women in mind, not kiddos. Since I get some gnarly headaches and had been making soft versions for myself, I thought that it was a perfect time to give my customers what they wanted and make a Jersey Cotton version of the Fayette. Still, I wanted them to be set apart. I believe, as Christians and as creatives, we were made to be set apart. ((See 1 Peter 2:9 and Ephesians 2:10)) The more effort we put into that with the goal of glorifying our Creator, I think the better off our businesses are. We should set the standard. I collaborated with a very talented artist to create a floral design for me in two colorways. I designed a stripe pattern (pretty much the extent of my graphic design skills, ha!) to coordinate and I sold them in sets. I tested the market out at Influence and they sold okay. However, I was BLOWN AWAY by how quickly they sold out online. Again, just so incredibly humbled that the Lord gave me a vision that I put the "sweat" into and He allowed it to succeed. I certainly didn't deserve it. That brings me up to earlier this week when a blogging friend posted an Instagram of her wearing a Fayette knock off. I had already been sent a link to another copycat shop that day and let it roll off, but this time I felt betrayed. I went to the shop that she tagged and my jaw just literally dropped. I recognized the shop owner's name. I went back and searched into my order log and sure enough, she had purchased both headband designs from me. Her shop was new. She was selling Colette and Fayette look-a-likes. 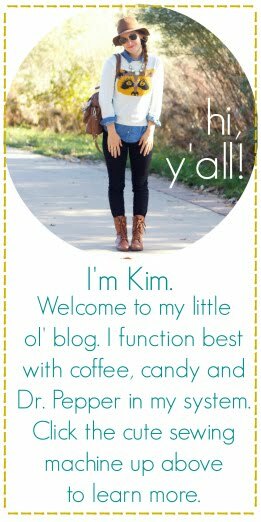 I clicked on her blog. She is a Christian. It just really wrecked me for a bit, if I'm completely honest. More-so because she loves Jesus. I ranted on twitter and instagram a bit. I didn't call anyone out. I just voiced my discouragement. I got some not-so-tactful responses (why err'body gotta be so defensive?) but also some pretty great truth spoken to me. My flesh didn't want to hear it, but I begged God for a humble heart in that moment to receive the truth that He wanted me to hear. It has taken me a couple years of making these headbands to finally get to this point of not letting these things bother me any longer. 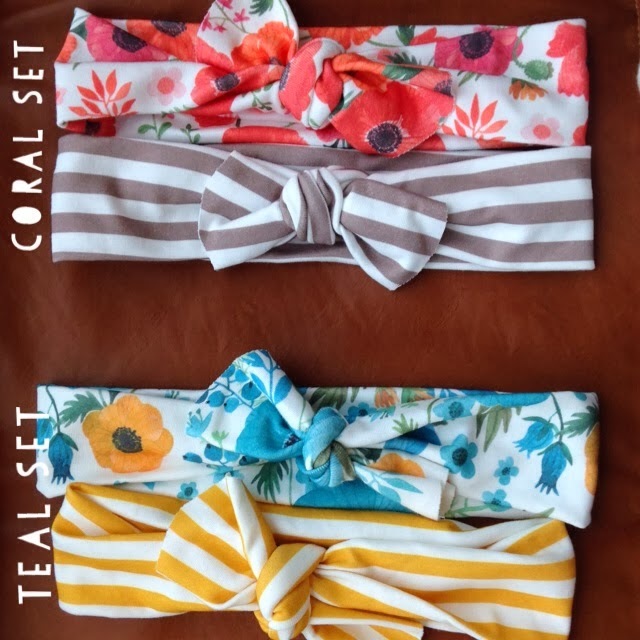 If it does bother me I likely need to repent of making my business an idol...the root of that means I'm worshipping headbands. Cool ((read: not cool)). I'm making the decision NOW to brush it off and try to be a better shop owner because of it. I want it to spur me on to create better and new products. The reality is that at the end of the day, it's just a stinkin' headband. I love my products and stand behind them 100%, but although it is a part of our income, it's just not worth the bitterness anymore. Not to mention, my customers are so amazing and loyal. The truth is that they aren't even my ideas (thanks Kate!). They are His. He has allowed me to follow through with them and experience success. Is it still frustrating at times when those ideas God has given me are taken as someone elses? Of course. As Christians, we can't just act like nothing phases us. We can feel emotions because we are HUMAN. I'm a justice seeker. I want things made right, but that can only happen when my heart is right, and usually -- it's not. So, yeah, I was definitely discouraged. The problem comes when we decide to wallow in discouragement and bitterness. We can't stay there, y'all. The fact is that people are going to copy. Seeing others' success is going to cause people to think, "I can do that!" They might actually "do that" but then they realize how much work goes into running a handmade business and they'll fizzle out after a few months. Let's not focus on them. When we want to fight back and raise a big ol' stink, our hearts are wrong. When we want to call people out via social media and create an army behind us saying, "yeahhhh! you're a copycat and you stink!" it makes us look like idiots. Sinful idiots. Because when headbands are more important than pointing people to Jesus, we're in trouble y'all. Jesus is bigger than headbands and scarves and etsy and graphic prints. Let's focus on running our businesses with integrity, with creativity, with passion, and a desire to see Christ glorified through our actions ((even when we mess up!)) and through our successes. Let's have humble hearts and make it happen - whether or not we are being copied along the way. I totally agree with you on this subject... OUR GOD IS GREAT ER THANK ANYTHING IN THIS WOULD!!!!! WE MUST PUT HIM FIRST ALWAYS!!!!!!!! This is great. I've seen a lot of IG "friends" (I don't know them in real life, of course), who happen to be small shop owners, getting very upset about this recently. And I get that. I really do. It would irk me too. (And may, one day, if I ever start selling my stuff.) But deep down, it has made me wonder - what are they placing their value and TRUST in? God will provide for you and take care of you. Should you protect your ideas? Sure. But is it the end of the world? Not even close. Thank you so much for your wonderful honesty, and your beautifully spoken heart. I have followed your blog since ((I think)) the beginning or close to it! And I was saddened when I started seeing knock offs popping up. I did make a fayette inspired headband for my daughter ((which I tagged you in on IG! )) I followed the comments on IG yesterday and was truly humbled by your own humility, here I was ready to get on my high horse for you, ha! and you were very gracious to every comment, even when they were saying things that were hard to hear. Anyway all of that to say, thank you for sharing the story, and thank you for pointing it all back to Jesus! He is the author and perfector! :) Bless you. Amen amen amen! It never ceases to amaze me at what He chooses to use as grand lessons for His people. (headbands, would you EVER have guessed?? :) You have every right to be upset, but taking the 'love 'em like Jesus' approach in the end is growth for you. The story of the birth of the headbands - SO intriguing...I had NO idea! So glad you shared. Keep your head high and on Him. He is using you for His greater glory and by shining on in His light, you win in the end. Thanks Su! I know, God chooses to teach hard lessons through such silly things sometimes! This was so timely for me. I am struggling with something different yet, the same. I have a friend and we are both Christians yet, I feel like EVERYTHING I do, the clothes I wear, my style, the pictures I instagram, the topics I post about on FB and my blog, my new love for walking/marathons has been totally 'copied'. I know I do not hold a patent on anything but, I feel 'copied' and not in a good way. Like everything I do, she is going to do it too. Most people say, I should be flattered that be copied is a form of flattery...and so I struggle. I struggle each time she posts something a few hours after I have just posted it. I am asking God to teach me that it isn't important. Thank you for your honesty today. I needed this so much!! Now I am off to buy a soft headband or two from YOU! I know exactly how you feel. Chase and I have had many hard conversations about my desire to be unique and how often times when someone copies me in one regard or dresses similarly I immediately think they're dumb and get annoyed. I am not full of grace by any means in those situations and it's still hard for me. The desire to be innovative was put in us by the Lord. We must steward that gift well and that means we have to be humble and TRY REALLY HARD BECAUSE IT IS REALLY HARD to be flattered in some degree, not in a prideful way. If I start my day with the prayer, "All my longings are before you God. Please let me not make this day about me, but about honoring and glorifying You" it seems to help my perspective...but we're sinners and broken and flawed and so it doesn't always work ;) Hang in there and know that your frustration is felt over here too. I'm so sorry this happened to you! On the one hand, the handmade biz is hard because a lot of times people have similar ideas and honestly "came up with" the idea on their own. This has happened to me a few times, where I think I have a unique product and then I see it in another shop (and my shop isn't big enough that people would be copying me, haha). Those circumstances are understandable. But when someone obviously takes your idea and even uses the same name? That's so frustrating and hurtful. I purposely try to avoid shops that make similar items to mine because I don't want to adopt someone else's style - I want to be as uniquely "me" as I can. Similarly, it bugs me to no end when someone pins an item from my shop onto a DIY board. I just think, "Great, so now they are taking my work and making it into something to copy for themselves." My consolation in those situations is that maybe a friend of theirs will see it and visit my shop. BUT, you are so right that in the end, these things are trivial at best. It is frustrating and hurtful, but our hope is not in our shops or in our original ideas, it's in Christ. Thank you for sharing this. I saw some of the comments on instagram yesterday and was so encouraged by some of the truth spoken. Just when I feel silly for being a little too into social media (and a little ashamed for over posting photos of my feet in fall leaves), the Lord uses it to encourage us and point back to himself! I really admire your spirit and attitude in this tough & tricky-to-navigate situation. Not many people are able to respond this humbly when they're going through this kind of situation, and it is evidence of Jesus' grace working through you! You are an encouragement to your readers! I like how you ended up. Yes, I would be very mad if this would happen to me, and I'm pretty sure I would react in a way worse way than you. I like how you point everything back to God. He is the only one sho can put things in perspective. I will pray for you to have peace in this time. First of all, I LOVE the story behind your business and products. NO knock-off will be able to compete with that. Second, so so sorry. I would be hurting so much as well. Honestly though, I am so touched by the humility you have chosen to walk in. No matter the struggle. God is being honored and that is not going unnoticed. I've been following your blog for a few years and have bought from your store before. Just wanted to let your know that I love hearing how God is working in your life and I pray that through situations like those he can mold you and shape you. good gracious i certainly understand this feeling - especially this past year. love your work, and especially love the story behind it. you're a gem Kim. keep rising above! p.s. I so loved reading the journey and growth of your shop. 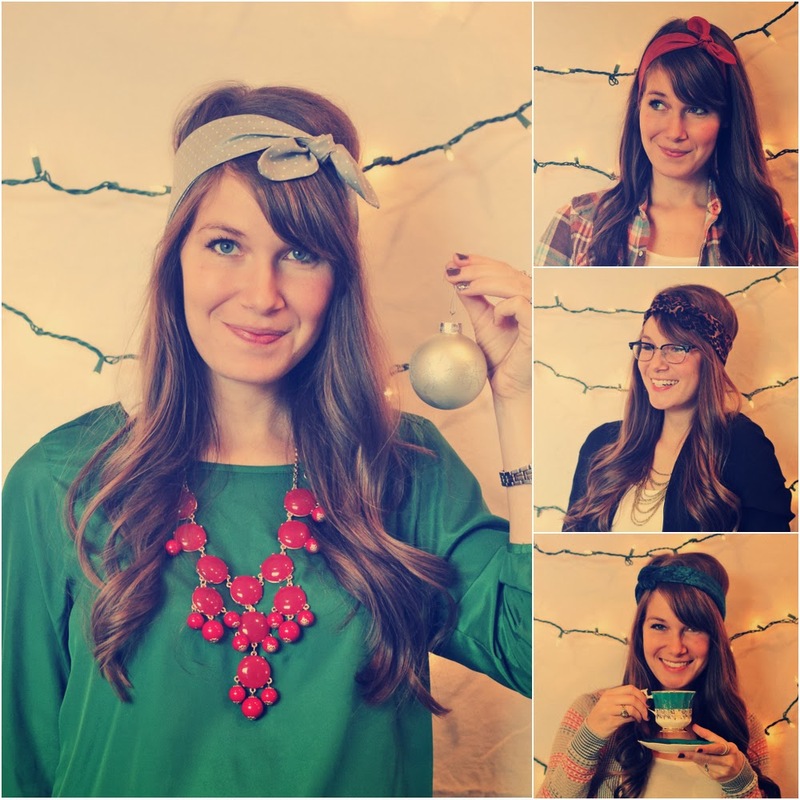 I've always loved your headbands and so love that are and will continue to shine His light through your blog and shop. LOVE your heart, girl!